I’ve noticed a marked uptick in the amount of agencies that are developing and deploying large, commercial .NET-based CMS systems for their clients (open source or otherwise). This enterprise-grade breed of CMS goes way beyond managing and posting your blogs: they can tie in with ecommerce, sales and marketing automation to help drive emergent 21st Century practices for large teams. But with demand rising, so does demand for capable .NET development talent. I recently ran across a blog post from a fellow who is in the business of selling a very niched CMS system. In the post, he discusses the top challenges associated with developing open-source CMS systems. Chief among the cited challenges? Staffing and skill sets. Both valid concerns. Both easily solvable — even with nearshored/offshored/outsourced talent. 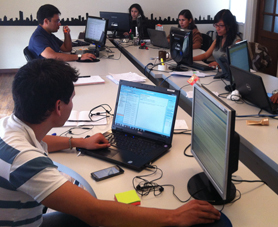 This is why we chose Bolivia as the talent center of our software/web development service. South American outsourcing is a well-beaten path because of language and time zone advantages, but even among these options, Bolivia stands out in its affordability. Executing your open source (or other) .NET CMS project may require a bench deep with both web and software development talent. As you have likely experienced with your vendors, having one doesn’t necessarily mean having the other. • Have your engineers and developers worked with the .NET framework since its very inception? • What is the “continuous education” regimen for your engineers and developers? • How much of your .NET bench carries Microsoft Certified Developer, Microsoft Certified Technology Specialist, Microsoft Certified Professional Developer or Microsoft Certified Trainer certifications? • Do you adhere to the Capability Maturity Model Integration (CMMI) and Software Quality Assurance (SQA) methods when executing your projects? • Is your bench comprised of subcontractors or employees? • (If offshoring/nearshoring) Do you have a US presence to facilitate coordination and execution? Too many “no” answers to the above are red flags. But even then, being gun-shy about outsourcing your .NET CMS project is understandable. Many players in the space have given the offshoring/nearshoring sector a black eye by not being totally transparent about the skill level, availability and track record of their technical resources. This is a separate discussion and a separate topic. If you have .NET CMS projects looming and would like a candid, honest assessment about what you need to be successful, get in touch! The benefits reflect established companies using a mix of internal and external teams. The other assumption is that these companies found an Outsourcing Vendor that matched their needs with regards to Education, Experience, Location, Process and Communication. 1. Your Internal team now can focus on core competencies. 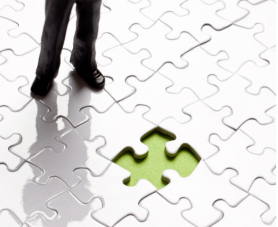 Core competencies distinguish a company from its competitors. Determine what makes you different from your competitors and apply the resources to those areas that you free up by outsourcing. The value of focusing on core competencies can be measured through faster growth and increased profitability. Once you start to outsource, you will discover that many tasks that you thought were core competencies are not. If your management team and staff truly focus on core competencies, they will find new and better ways to outsource those tasks that are distractions and add value to those tasks that remain within the organization. What is a new idea worth? If you outsource a new product to a facility that has everything in place to produce the product, you have a turnkey solution. You don't have to build infrastructure or change your systems. You eliminate the entire development cycle and can introduce your product in months, rather than years. If you can deliver your product six months earlier, you have a six-month revenue stream you would not otherwise have. Use your revenue projections to calculate the value of your early start. Comparing the cost of outsourcing with the cost of performing the work internally will tell you if outsourcing will reduce your costs. No further calculations are necessary. You’ll need to find the true cost of your internal employees. This is called the “Fully Loaded Cost” and includes, salary, benefits, training, the space each employee occupies in your building, and more. The cost of Outsourcing is an “Expense” meaning, the actual dollars you spend can be accounted for as a straight-line expense and therefore, a huge financial benefit in most cases. Having a balance of Internal and Outsourced developers and testers can help greatly with your bottom line. Also, another advantage of working with a good vendor is that they have a larger pool of qualified engineers to choose from and if for any reason someone isn’t a fit, you can quickly replace them. Unlike an internal employee who leaves, there is no additional recruitment or other HR costs in replacing the Outsourced engineer. Quality can be measured in many ways. The standards you create for your vendor will typically be higher than the standards you use internally. You are outsourcing to an expert and have a right to demand high quality. Ideally the vendor uses a compatible development and testing process as your internal team, meaning the Outsource team is a true extension of your internal team. This helps create better overall quality because the expectations, planning, execution and delivery have consistent and measurable results. Selecting the best and most appropriate offshore provider is not a trivial task. There are thousands of software vendors around the world and trying to identify the best match for your business, check their references, read proposals, etc., is challenging and time consuming. And because your success will be virtually in the hands of this vendor, you’ll want to be very careful that you select the right partner, since you might be dealing with him for several years. Talk to an expert. There are companies dedicated to identifying offshore software vendors. They classify them according to their capabilities and can provide a recommendation in a matter of hours. You’ll need to provide a high-level list of the most important requirements you are looking for and they will come up with potential candidates. Some of the companies we recommend are: AugmentSoft, Accelerance. Ask your colleagues. You can talk to your friends, co-workers or business partners and ask them what software vendors they’re using. This will definitely give you a starting point. Google Search. If nothing above works, your next option will be to search a list of vendors in Google. Try to at least specify the model of the engagement and region. For instance: “Staff Augmentation services in Latin America”. You should select up to 10 vendors and then narrow the list down until you end up with the top 3. You need to put extra effort to differentiate the intermediaries from the direct providers. This is very similar to agencies when you are trying to hire new employees. If you contact an agency they will probably make it easier in the short-term but at a price. In the outsourcing world the intermediaries are typically present through the entire duration of the engagement. This will increase your costs significantly, sometimes more than 30%. They can also be a bottleneck to communication, getting between you and the actual engineer working on your project. With that said, identifying the direct provider, which is typically located in the abroad country, is the best way to minimize your costs and keep communication transparent. Ask question like: Is the same company incorporated in the USA? Does this company have the same owners both abroad and domestically? Are you using an offshore vendor? Depending on your needs, you will want to work with a company that has expertise within a specific technology or industry. In addition to that, you might want to pay attention to certifications and recognitions this company has acquired for instance: ISO 9000 or CMMI. However, neither a long list of projects or a company’s certifications will guarantee the success of your project. The success of your project will depend on the engineers who work on it. Before starting any project, we strongly recommend that you review the resumes of the engineers and better yet talk to them as we discuss in tip number 4. Review general things like what University the engineer graduated from and when they graduated. Ask how many years of experience he has with the relevant technologies, as well as what kind of projects he worked on recently. In some situations it’s not practical to interview the engineers. The project might be too small or it isn’t very well defined or you’re under a time crunch to get things done. Nevertheless, interviewing the engineers is a fundamental factor when you are selecting an offshore vendor because you are not only assessing the technical skills of the candidate but also the communication infrastructure of the provider. You’re also assessing the English communication skills level of the engineer as well as how smooth the interaction and communication is going forward. Think about this as an opportunity to test the daily communication. Request to use in the interview the same tools that you’ll use on your ongoing work. For instance, you can use skype to schedule a video conference or Webex for a screen share session. Prior to committing your project to any vendor we recommend you to go through the 5 tips outlined in this article. There might be other key elements that you need to consider as well for instance the cost, however selecting the best provider, focusing on the engineer skills, interviewing the engineers and visiting the offshore offices are fundamental elements you should consider for the success of your offshore partnership. Although regions like Asia and Eastern Europe have the hegemony in IT Software Outsourcing for the latest decades there are new trends in global economy and technology that qualifies Latin America as the new emerging region to outsource software IT projects. The Latin and South American economies were afflicted with external debt, hyperinflation and unemployment during the 80’s and 90’s. But those days are now gone according to the International Monetary Found (IMF): Regional Economic Outlook about Latin America and the Caribbean. Since 2004 the entire region has been experiencing an average economical growth of 4% according to the IMF. For instance in 2013 countries like Peru had a growth of 10% and Bolivia of 5%, both were above the average. Although the Asian economies have a higher growth rate (~6% India 2013) it’s definitely a milestone for South America to have achieved that economical growth and stability in the last decade. Governments sponsored study abroad scholarship programs that includes IT graduate and postgraduate programs. A stable growing economic along with advanced IT workforce are compelling reasons to look at Latin America as a potential location that can provide talented software engineers in a similar way than India or Ukraine. However there is one more reason why Latin America outstands from these regions and is the time zone difference. Known as Nearshore Outsourcing the model that allows software companies in North America to work on the same time zone with their offshore teams is probably the most important reason why Latin America is becoming more and more popular for software IT offshore. The good thing for the Global Market is that there are new alternatives when we are talking about technology providers. This momentum Latin and South America is going through contributed to improve not only the Education but also to the Information Technology (IT) industry in the region. As any other niche the best opportunities will be for those who put their eyes in Latin America first. It might be challenging to select the right location in Latin America since it’s composed by more than 20 countries: Argentina, Bolivia, Chile, Colombia, Costa Rica, etc and every country has its own nuances. Fortunately TRUEXTEND is an expert in Nearshore Outsourcing and if we can either help you or point you in the right direct direction. Please feel free to contact us for a free consultation. When your in-house engineering team is developing software and completing QA at the same time, the quality might be compromised, especially if the appropriate methodology is not used. A more effective and objective way to ensure quality of your code is to separate software development from QA through a professional QA team. And using outsourced QA testing is an excellent way to get started with outsourced software development. You may have tried outsourced software development in the past with less-than-successful results, or you may have considered outsourcing but were concerned that it wasn’t going to work – but there are (at least) five excellent reasons why outsourced QA testing is a great way to see if international outsourcing is right for you. 2. Maintain Objectivity To maintain objectivity in the development of your software and improve overall quality, it is a good practice to have development and QA achieved by different teams or different vendors. Typically, if one team or company performs both development and QA functions, objectivity is lost. The software application will most likely not be evaluated critically. You risk the possibility that bugs or errors will go undiscovered. 3. 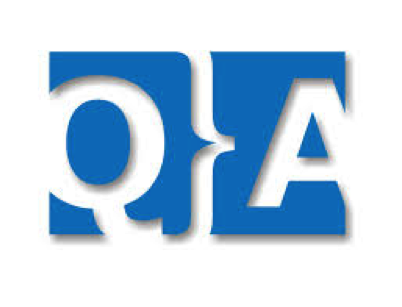 Improve Your Product You may be thinking that QA is not really necessary, or you may not have enough engineers on your team to accomplish QA. As such, you might normally skip the QA piece of software development. It is critical, however, to involve a QA team early in the development process. By partnering with an outsource QA testing team early in the process, you have the opportunity to discover bugs before they become part of the software design. 4. Hire Just One Engineer When you make the decision to outsource QA testing, you can choose to hire one QA engineer, allowing you the opportunity to learn how the vendor works. You can learn first- hand how to work and communicate with offshore engineers, and you can become acquainted with the experience and education of the engineers. Over time, if the team demonstrates that they are able to maintain quality and troubleshoot problems, you may want to explore other areas of outsourcing, such as development. 5. Build Automated QA Tests Once you understand the capabilities of the outsourced engineering team, you can consider more complex QA and development projects. To reduce time to release to market, you may also decide to apply automated QA testing techniques that would be difficult to do on your own. Outsourcing QA testing can be a pilot project that opens a door to outsourced software development. Whether your project is a success or a failure, the cost and the impact to your business is minimal. At TRUEXTEND, we employ a formal and separate QA process, and the ultimate goal of our team is to create quality software products. It’s a part of our culture. When you do consider outsourcing your QA, you may want to consider TRUEXTEND. Software development is a constantly changing field. Any company that wants to thrive needs to keep up with the evolving trends in the industry. At TRUEXTEND, we have seen major developments and have reacted to them, to provide our clients with engineers who have the right kind of knowledge and experience. What trends are developing this year, and maybe more importantly, what are we doing to embrace these trends? 1) Multiple Language Capabilities. One fear many clients interested in outsourcing have is that they may have a difficult time communicating with engineers who are not native English speakers. While it's not exactly a new trend for 2013, it does remain a significant priority for us to put great emphasis on teaching our software engineers English along with their engineering skills. It doesn't matter how great engineers are if they aren't able to communicate their ideas with other people. 2) Mobile software development. In the past, mobile platforms were not always considered a necessity.. In recent years, though, we have seen a constantly increasing need for development of applications that can be supported by mobile devices. To prepare our engineers for projects like these, we have created test projects in-house. This allows our developers the opportunity to work on developing new skills and techniques and gain practical experience, without taking time from client projects. When it comes time to work with our clients, the programmers are able to get right into the project without experiencing a steep learning curve. 3) Cloud-based software. While the move toward more mobile software development has occurred over the past few years, we see the cloud as the biggest current development we are working to embrace. The hiring of new engineers and training of our existing team in cloud-based technologies and best practices is a priority for us. Much like we are doing with mobile development, we have in-house projects that serve as a training and experiment lab. By preparing our developers in this way, we are able to best serve clients new and old. All of these techniques are used at TRUEXTEND, to make sure our team is providing the very best services to our clients. 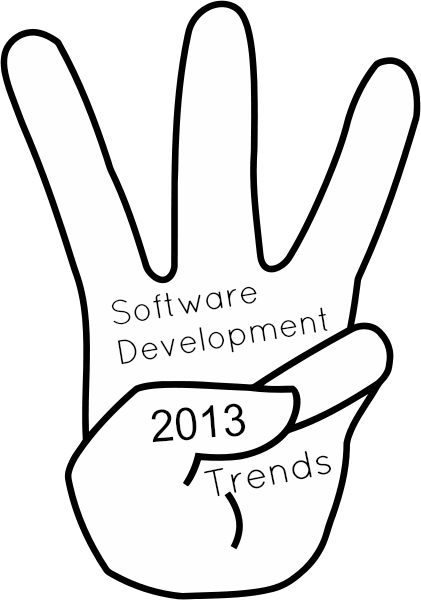 These are only a few of the trends we're watching in software development. What are some that you believe will make an impact in the developing world? As 2013 continues, there are sure to be new developments – and we'll be ready to embrace them! There are a few reasons why you may be reluctant to outsource. You may have read sensational stories in the media, heard of a failed venture from another business, or perhaps had a poor experience of your own. Regardless, many fears about outsourcing are also a risk when working in-house and many of the perceived risks are imagined and don’t reflect the today’s outsourcing software development. Communication is usually the first concern organizations have. The belief is that a gap will exist between the two teams because they won’t be able to communicate effectively with each other. That’s not the case with a good outsourcing provider. A good outsourcing company has a strong infrastructure in place and many (if not all) company members speak and write in fluent English. With the technological advances that are pervasive worldwide, communication between countries is rarely an issue anymore. In the particular case of Bolivia you should be aware that it has well known universities recognized internationally creating integral professionals and also the English is taught since school. In addition to that TRUEXTEND has an internship and training program that prepares the engineers for the global market. People often have suspicions regarding the country where the outsourced team is based. The media often relay negative views of the political status, dangerous living conditions and the lack of intellectual property laws. More often than not, this news is sensationalized. Countries that outsourcing companies reside in, such as Bolivia, enforce the intellectual property protection equal to that of the U.S. What is reported in the news is usually representative of a very small reality and doesn’t apply to the majority. It is more important to view the resources of the company rather than stories about the location. TRUEXTEND’s facilities located in Bolivia have all the required conditions in terms of infrastructure and security to be a Nearshore provider. And in addition to this has talented and experienced professionals. Another common concern is the fear of losing control of your project. When you outsource, it’s usually because your project requires various forms of expertise. Losing control is a possibility, but not if you know how to manage the outsourced teams. Start with a carefully selected team and build from there. A critical, and often overlooked, part of your outsourcing team is someone onsite to manage the remote resources. Management provides a mechanism of interaction between the two companies that will keep the teams coordinated (outsourced and onsite) on a daily basis. This can be someone from your own company if the project is large enough, but a well-prepared outsourcing vendor will have a member of their team ready to fill this role as well. Since TRUEXTEND is located in Bolivia, the similar time zone with the US allows the clients to interact with the remote team during the regular working hours. In this way it’s possible to constantly keep track of the progress and solve any blocker or problem quickly, which increases the productivity of the entire team. Successful outsourcing requires many business and management practices that you would probably implement in-house anyway. There are a few risks, but they can often be mitigated if you take time to form the right partnership with the right outsourcing vendor. South America has several profitable outsourcing locations. Argentina, Brazil, Chile and Bolivia are the major locations, differentiated by economic levels and academics. The cost of outsourcing also varies of course, but the decision of location depends on more than monetary figures. There are cultural aspects that must be considered as well, and it is apparent that some locations are simply a better match than others. 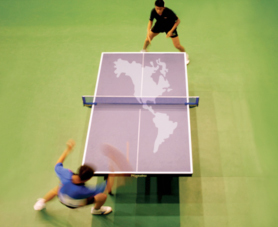 Despite their proximity to each other, South American outsourcers vary from country to country. For example, Argentina is the second largest IT market in Latin America. With prominent companies, such as HP, Motorola, Google and even Starbucks, investing in outsourcing, Argentina’s software market is worth more than $ 42 million. As one of the least expensive outsourcing markets for voice-based agents, it certainly has its perks. Brazil is another desired outsourcing location. It may be small in comparison to others, but it is growing rapidly. It is quickly expanding as a leader in global outsourcing, with several opportunities for research and development in the advancing IT industry. HP is also a player in this field, as well as IBM, Accenture and Unisys. Chile is also emerging as a leading outsourcing country. It is following Brazil closely as the second highest in research and development in the region, encouraging foreign investment to increase the nation’s revenue. With competitive salary rates, Chile is quickly rising as one of the top outsourcing locations. 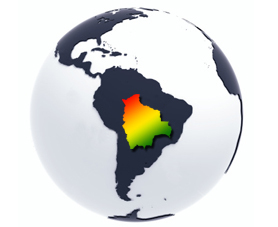 Although Argentina, Brazil and Chile are good locations for outsourcing, Bolivia is the best option. The first difference to consider is the economic level. Argentina and Brazil are both countries with an expensive lifestyle. With a higher cost of living, wages struggle to keep pace. 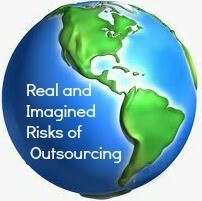 Outsourcing in such locations proves to be much more expensive than Bolivia, resulting in lower overall profits. Another difference between the countries is in regards to academics, often involving software and engineering expertise. Larger countries are dominated by large companies, all competing for good engineers. In response to this competition, companies are forced to offer higher salaries to obtain those with the most skill. In Bolivia, there is more opportunity and less competition among companies for qualified engineers. Additionally, prospective engineers can receive extensive training in Bolivia that can be applied worldwide. All things considered, Bolivia is one of the best places to outsource in South America. The consumer price index is much lower, with a rating of 47.6 compared to that of Argentina, which is at 71.6. The distribution of living costs is distributed much more evenly in Bolivia as well, with a local purchasing power equal to the more expensive Argentina. Argentina has also recently experienced a downturn in the economy, struggling with inflation. With Brazil and Chile not quite on their feet yet, Bolivia is the most profitable option. It is important that an outsourcing location is cost effective beyond software developing. Any effort for less expensive manufacturing is wasted if the cost of living drains company resources. Bolivia is a fruitful environment, with a stable economy and incredible opportunities. Bolivia offers many great opportunities for businesses that wish to outsource. Although the infrastructure is different from what is seen in North America, the quality of education and training is excellent. As many benefits as there are, it is important to note the challenges for those who wish to operate in Bolivia. An understanding of Bolivian culture is imperative, to decide if the fit is right. 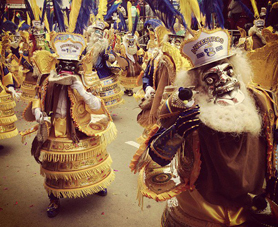 Bolivian culture is similar to American culture on several different levels. In particular, a majority of the population is Catholic, both cultures sharing similar holidays. Additionally, most media in Bolivia is in English. You are likely to see the same television shows and listen to the same music in both countries. However, there are clear differences that you will want to be aware of. Although the population is primarily Catholic, there are many indigenous celebrations that are commonly recognized. The festivals that do take place often depend on the region, so days off of work will vary. An example would be Alasitas, which is the Festival of Abundance, and this celebration occurs in different locations at different times of the year. Given the variety of Bolivian celebrations, a company should investigate the region of their outsourcing post, to get a better idea of what is recognized. A company in Bolivia is incredibly family oriented. Rather than change jobs based on income, people do so in search of different opportunities. Even so, it is difficult for a company when someone who is considered to be family leaves. When you sign up to outsource with a company in Bolivia, they expect you to be in it for the long term. The workday varies as well. Rather than work the eight–to-five shift with little break in between, most of Bolivian companies offer two hours for lunch. Although some work continues during the lunch break, it is not common for an individual to begin work in the morning and working straight through the day, ending his or her day at five. You need to have the right expectations, knowing that there is no set end to your workday. Which at the end of the day could be convenient for the outsourcing because typically the engineers would work up to 7 pm providing more support for clients in the west cost which are 3 hours ahead of Bolivian time zone. There is also the challenge of actually getting to Bolivia. Many outsourcing partners wish to visit one or two times a year. Unfortunately, there are no direct flights to specific cities within Bolivia. In order to flight to Bolivia from the United States and Canada it’s required to stop in Miami first and board your connection there to Bolivia and depending your final destination it might be required to take other connections. So if you are considering multiple visits throughout the year, this is something to keep in mind. Nonetheless, a bit of travel might be worth Bolivia’s outsourcing capabilities. It is still much closer than other common locations for outsourcing, such as India. Bolivia also has certain laws that you want to pay attention to. Many businesses may decide to open their own outsourcing location instead of working with a firm that is already established. If you are considering this option, you, as the owner of a business in Bolivia, are required to pay 13 salaries per year, one for each month and two for December, the 13th salary is known as “Aguinaldo”. You must provide employees with medical insurance, a retirement plan as well as benefits if someone quits the company. The government enforces all of these benefits that are targeted to employees directly. For example, if an employee worked for five years, at their departure, TRUEXTEND would pay the equivalent of five salaries. The aforementioned are just a few examples of the complicated government demands. Fortunately for those desiring to outsource, you are partnering with someone who is already established in Bolivia as TRUEXTEND. Although this government policies look complicated they have direct benefits to employees who are typically looking for work on a stable company and develop a career over there. TRUEXTEND offers to their employees working conditions that are far above the average allowing them to have excellent living conditions for them and their families. One of the most critical aspects of outsourcing is to know and respect the culture you are working with. With a stable government, expanding opportunities and a culture similar to our own, Bolivia is a great location. The Bolivian culture has many unique points, but it is all with the goal of promoting success. When analyzing outsourcing options, accessibility to the chosen location should be considered. Cochabamba, Bolivia is not only easily accessible; it also is home to TRUEXTEND’s research and development centers. Located in central Bolivia, Cochabamba is Bolivia’s third largest city. 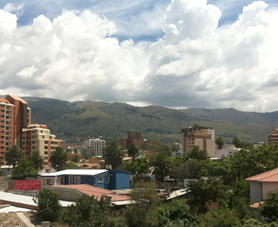 Cochabamba is also Bolivia’s most economically and socially progressive city. The central part of the city is a built-up commercial district, home to most of the city’s business and commercial industry. The new avenues provide easy access to numerous attractions, including multiple restaurants, hotels, shopping centers and “Cristo de la Concordia” a big Christ in the top of a hill. This is in large contrast to the unpaved roads and adobe homes surrounding the city and is your first impression after leaving the airport. The primary language is Spanish; however, English is largely spoken and understood, especially in the business district. Travelling to and through the city is quite simple. 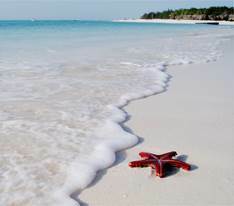 There are several flights from Miami to Santa Cruz or La Paz, a 6.5-hour flight. Once in Santa Cruz or La Paz, there are daily flights to Cochabamba. You should be aware that there is a new visa requirement for U.S. citizens when entering the city. Time and budget should be accounted for, as this requirement costs $130 per person and lasts for 5 years. Once in the city, Cochabamba has an extensive public transportation system, including buses and taxis. Cochabamba’s mild climate, beautiful greenery, mountain vistas and progressive economy all contribute to its appeal to local and foreign visitors alike. With daily flights to the city and easy-to-navigate public transportation, Cochabamba is an ideal location for outsourcing. While it is difficult for some outsourcing companies to recruit high-quality talent, we are able to recruit and maintain well-qualified engineers. At any given time we have from 5 to 10% of the total number of engineers immediately available to join new engagements. It is standard practice in Bolivia to require a four-week notice prior to leaving a current job. Due to this lead-time requirement, an engineer will be available in two to four weeks if they are moving from one company to another. Truextend recruits staff in a variety of ways. We receive a lot of personal references from our engineers and other employees. They refer to us their friends or good candidates they think could do the job well and they receive a bonus reward because of that. In the same way, we work very closely with students who are referred from the universities. Working with universities is of major importance to not only help train high quality potential employees but also to give back to our local community. We provide guidance to the universities in order to level out engineering students’ academic experience. In return, the universities are committed to sending us high quality graduates. A final way that we recruit engineers is through newspapers and other forms of media. While this is not our preferred method, we have found quality engineers this way. Within the company there is an employee training program. Students with excellent academic records can do practical work with our company as well, providing them hands-on experience. We focus on two areas: development and quality assurance. With all of these methods of recruitment, we are able to develop and maintain qualified engineers. Our turnover rate is very low less than 5% per year. Truextend provides a positive work environment focused on education through the entire length of employment. English courses are offered for our staff, free of charge. We also provide tuition reimbursement to allow our staff to constantly increase their knowledge. Treating our employees well allows us to recruit and uphold a respectable and loyal staff. Outsourcing to Bolivia is as easy as using a third party in the United States. We focus on reliability so that we can provide the best service to our clients. While Bolivia doesn’t have the infrastructure that can be found in American cities, this does not limit our engineers’ ability to develop or create, due to their high aptitude and skills. At TRUEXTEND, we have established routine requirements for our infrastructure; we have everything required for a reliable, certified network. We have multiple network devices that provide us with connectivity, security and flexibility to do this business. For instance we have three different ADSL lines with three different ISPs. One line is fiber optic, which goes directly to our office. We want to make sure that our network will be stable, with a primary and a backup connection. For communication, we have a U.S. phone line, allowing our devices and engineers to easily make and receive calls with the United States. We have several departments to serve our customers. A big strength in our company is our quality assurance department, for both manual and automated testing, and in addition we have a lot of expertise in .net and java development. We have multiple quality assurance engineers with different backgrounds, carrying out mobile testing for web mobile applications and also automation. We also have a small group dedicated to business analysis. Our business analysts help with the design of products. The primary principle of our company is to have happy clients. Therefore, it is important to us, and our clients, that we have highly-capable engineers. English language skills are of the utmost important to us. To ensure that all of our engineers are able to communicate in English, we provide English classes for them and pair them with language buddies. We have an internship or training program with several graduates from local universities. When a student’s internship is completed, we extend employment to the most promising students. To keep their skills up-to-date, we also provide tuition reimbursement to our engineers for different courses. Our engineers are capable of working on a project of any level. We have had very good experiences in which our engineers worked on the same project for more than five years. Unlike other companies, we do not change engineers throughout the course of a project. Therefore, the project is successful, as we keep the knowledge of our team on a specific product to maintain quality and to keep growing. Our clients notice this and find it very important. We strive hard to meet the needs of our clients. Outsourcing your engineering needs to Bolivia is a seamless transition. From our reliable connectivity to our knowledgeable engineers, you can be sure your project will be complete with the highest level of integrity. Bolivian-educated engineers come from a five-year program at the university. The universities have access to the same technologies as schools in other countries, including the United States. Classes are geared toward a specific field of study, for example, computer science. Students study all required subjects, giving them a very good background, in order to perform in areas like development, quality assurance or whatever their job requires. The curriculum involves a great deal of research, to ensure that each student is up to speed on the latest technology. For example, Bolivian universities use Java as well as .NET. Depending on the course of study, students will learn to assemble, study artificial intelligence or learn about the fusion of programming. The computer science program is a very complete curriculum, combining book knowledge with real-life experience. 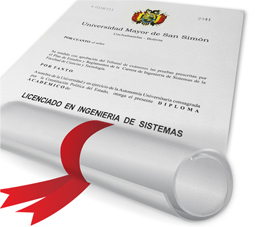 Bolivian universities have recently started using an Agile approach for the software engineering program. Students are presented with different tools, like source control emerging, to create a project in which they collaborate as a team. The team will then report their findings. A hands-on experience allows the students to experiment with the knowledge provided in the classroom, allowing them to be ready for the workplace upon graduation. Although Bolivian universities are in the very early stages of receiving the latest technology, most equipment is up to par with other universities in the region. Students are using the same tools inside the classroom that they will use while on the job. Despite the fact that Bolivian universities – especially the public schools – have some infrastructure issues, the academic level is equal to that of an American university. Infrastructure issues mean that the public universities are unable to accommodate many students. This opens the doors for private facilities. Since private education abounds, it is more affordable and is attracting students from across the region. The universities are also popular with students from other countries, who are looking for quality education at a lower price. Bolivian universities work with both Europe and the United States on exchange programs. A degree from a Bolivian university is transferrable back to most students’ home countries. An engineer that has attended a Bolivian university will be equipped with the appropriate coursework and real-life experience, to perform at a high level in the workplace. Since the knowledge and experience is transferrable, they are able to work anywhere in the world once they graduate.